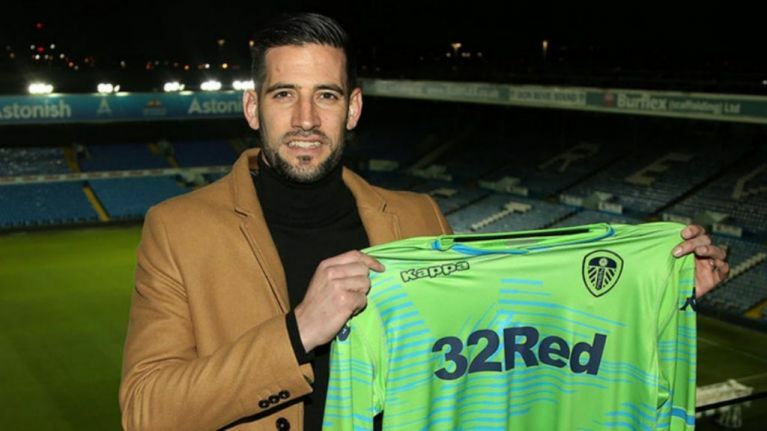 Leeds United have announced the signing of goalkeeper Kiko Casilla from Real Madrid on a four-and-a-half year contract. Casilla has played for Real Madrid since 2015, but was knocked down the pecking order last summer when Thibaut Courtois joined the European champion from Chelsea. The 32-year-old spent seven years at Catalan club Espanyol, during which time he enjoyed loan spells at Cádiz CF and FC Cartagena, before claiming the number one jersey for himself. His excellent form during the 2013/14 season earned him one Spain cap, though he has not played for the national side in the past four years - understandable given their wealth of options. Casilla is Marcelo Bielsa's first signing of the January window and will wear the number 33 shirt for the Championship leaders, competing with Bailey Peacock-Farrell and Will Huffer for a starting spot between the sticks. In his first interview as a Leeds player, Casilla said he intends to help the club return to the Premier League. Leeds have not played in the Premier League since their relegation in 2004, but Bielsa's appointment has sparked a brilliant run of form, as the club march on towards promotion. That should come as no surprise, given the level of preparation he does before facing any opponent.